Like fall in cookie form!! I took these to a fall get together and they were extremely well received and everyone wanted the recipe, so that’s saying something! Wonderful dipped in hot cider or tea, or warmed in the microwave before eating. Preheat oven to 350. Line cookie sheets with parchment paper so the caramel doesn’t stick to them. 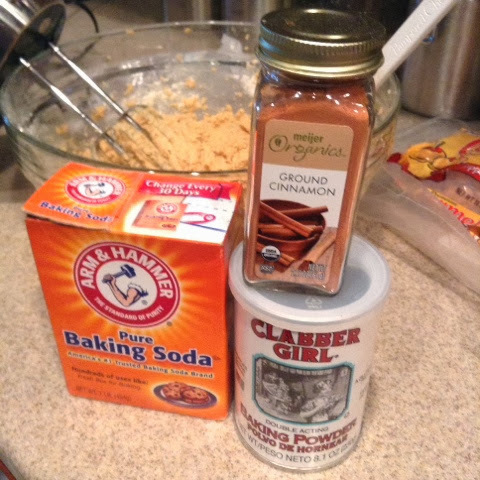 In a small bowl whisk together the flour, baking soda, baking powder, and cinnamon. 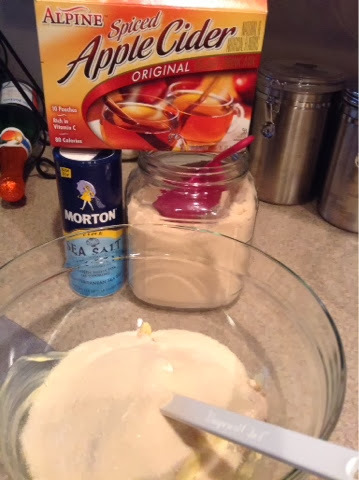 With an electric mixer or stand mixer, cream together the butter, sugar, salt, and packets of cider mix powder until light and fluffy. Beat in eggs, vanilla, and cream or milk. 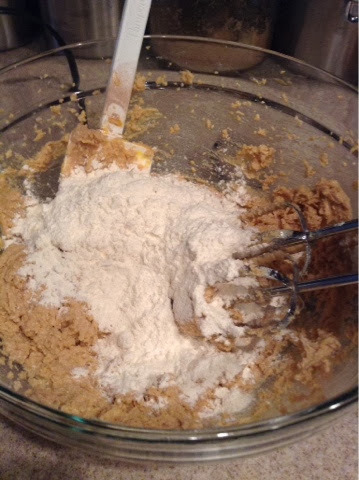 Gradually add flour mixture in and mix until combined. Refrigerate dough for at least 30 minutes. 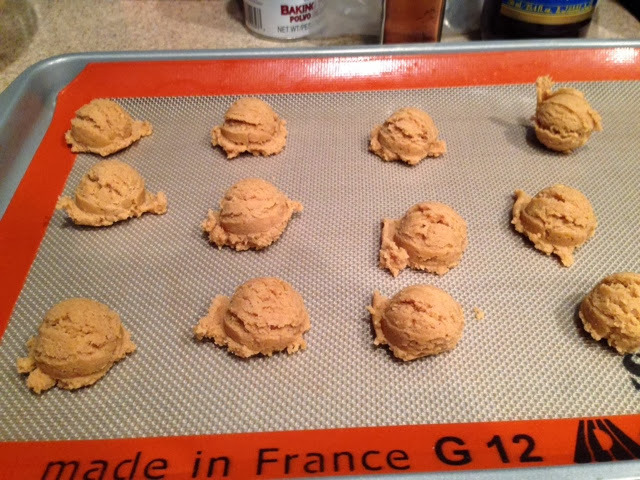 Scoop out cookie dough balls about 2 TBS sized. 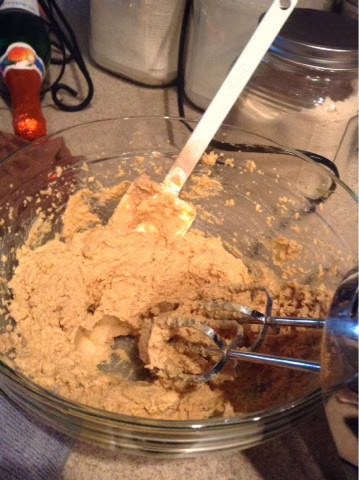 Flatten the ball and add in the caramel in the center of dough then seal the dough around it, covering it completely. Reshape into a ball and place cookies about 3 inches apart as they will spread. Bake 11-14 minutes or until very lightly browned around edges, they may not look quite done in the center but that’s ok. Carefully slide parchment paper off cookie sheet and onto counter for cookies to cool. When cookies are cool enough to handle carefully twist off parchment and allow to finish cooling upside down on a cookie rack or else some caramel may drizzle out of the bottom.